New Orleans gets its name from the Regent of France, Philippe II, Duc d’Orléans. It is not only one of the oldest cities in the United States, but is also popular for a unique multilingual culture and heritage. Its strategic location and timeless appeal has given to the world a tourist destination that is replete with anomalous cuisine, music and architecture. The birthplace of jazz and Mardi Gras, New Orleans has rightly earned the epithet ‘The Most Unique’ city in the United States of America. New Orleans is located on the banks of the Mississippi River. The city has a total area of 350.2 sqm. It is a peninsular, with its mainland heart in the shape of a curve. This feature gives the city the much-publicized epithet ‘Crescent City’. The inhabited region comprises marshland, lakes and bayous that spike outward, in all directions. The city has a semi-tropical climate due to its proximity to water-bodies. It receives a negligible amount of precipitation in the form of snow, but receives showers throughout the year. The city is a tourist hot spot for the frequent sighting of tornado-induced waterspouts on the surrounding lakes. The French Quarter is the destination for most tourists, and Jackson Square is the heart of the French Quarter, with artists, museums and historical buildings and the Moon Walk, providing a breath-taking view of the Mississippi River. Find information about Mardi Gras, The Jazz & Heritage Festival (Jazz Fest), the Spring Fiesta, riverboat cruises, the French Quarter Festival, Christmas in the Oaks at City Park, and of course, New Year’s Eve at Jackson Square And, at night, the streets are alive with people taking in all of the jazz and music clubs, not to mention Bourbon Street. Unlike New Orleans Square at Disneyland, New Orleans French Quarter is authentic, not a reproduction of history. Many buildings date back to the rebuilding efforts of the 1700’s which is why the dominant architectural style is Spanish not French. Visitors might want to keep in mind that, also unlike Disneyland, the French Quarter is a neighborhood with private homes and other residences and the grocery stores, restaurants, banks, police station and other services that support communities. 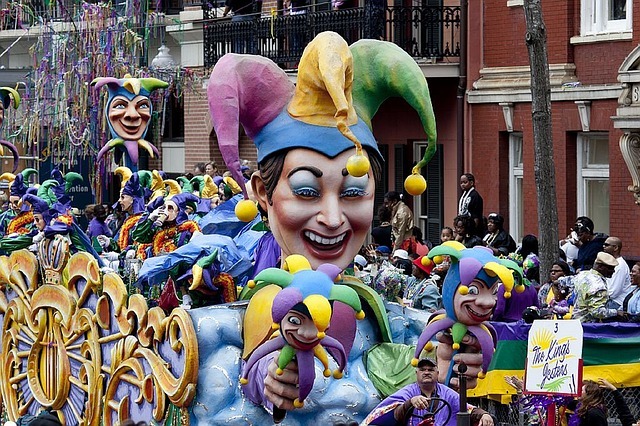 Mardi Gras is music, parades, picnics, floats, excitement … and one big holiday in New Orleans! Everyone is wearing purple, green, and gold; and adorned with long beads caught from the beautiful floats. They sit on the ground throwing balls, playing music, having a picnic, and watching the crowds walk by between parades. All of the businesses and roads are practically shut down — people are walking everywhere and meeting new friends. People are dressed in crazy costumes, kids are everywhere, and they love it! Annual 4th of July celebration with activities and entertainment for the entire family along the riverfront, ending with a spectacular fireworks show over the Mississippi River. Visit the site for events & attractions; print the savings coupons offered. Enjoy 250 hours of entertainment featuring more than 150 musical performances on fifteen stages throughout the French Quarter over a three-day weekend . There’s no place like New Orleans for the holidays during Christmas New Orleans Style, a celebration of uniquely New Orleans holiday activities taking place throughout December. With so many different things to see and do (and taste) in New Orleans, it follows that the city’s tour choices would be just as varied and unusual. No matter your age, interests, or length of stay in New Orleans, and regardless of exactly how, when or where you prefer to experience the city, there is undoubtedly a perfect tour here for you. So many areas of the city and its environs – French Quarter, Faubourg Marigny, Garden District, Uptown, Algiers, swamplands and beyond – have their own unique heritage and flavor. And each has special stories to tell; some are about history, culture, architecture or art, while other delve into music, cuisine, wine or even cocktails first-hand. Some reveal legends of voodoo or the paranormal; others explore the region’s nature, wildlife and watery terrain. New Orleans tour operators are consummate professionals, with guides who tell the region’s stories with knowledge, passion and flare. What better way could there be to experience all that New Orleans has to offer? By land: If you don’t want to use your own two feet, rely on the four hooves of a mule-drawn carriage. Or sit back and enjoy guided bus tours in and around the great city. By water: Glide through the swamps on an airboat. Take a paddlewheeler up or down the Mississippi. Charter a fishing rig or a pirogue. By air: Sample cheese and champagne on a private flight over the city. See the expansive Bayou by seaplane. Skydive! Like most things in this most unusual of cities, shopping in New Orleans is a wholly different experience. Though the surrounding areas boast malls to rival any in America, New Orleans still believes in the old-world marketplace tradition. Here, historic districts and luxury centers dedicated to the art of shopping gather remarkable concentrations of specialty shops, designer boutiques, galleries, cafés and restaurants. Downtown or Uptown, the convenience of walking store to store is topped only by the enjoyment of exploring charming neighborhoods . . . and the thrill of discovering one-of-a-kind treasures. 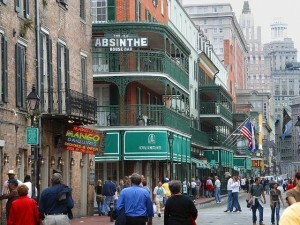 There is nothing generic about the items and services you will find in New Orleans. Downtown, you can make shopping history at the French Market, America’s oldest operating public market. In the French Quarter, Royal Street is deservedly famous for its elegant antique furniture, décor and jewelry, while the Warehouse/Arts District has been called the “SoHo of the South” for its hip lofts and upscale contemporary art galleries. Designer divas and families alike will enjoy theRiverwalk Marketplace’s casual fun, giant food court, and up-close river views. Meanwhile, The Shops at Canal Place, located adjacent to the French Quarter, is home to exclusive designer boutiques and exclusive shops. And then there is Magazine Street, known locally as the “Street of Dreams.” It is certainly a shopper’s dream: six miles of eclectic shops, hip boutiques, art studios, galleries, spas, restaurants and cafés that run the gamut from upscale to offbeat, and sophisticated to shabby chic. Tucked into charming row houses, Victorian cottages and renovated warehouses, the street’s business and residential mix runs all the way from Canal Street to Audubon Park. Over 1,000 restaurants are open in New Orleans. This includes most of the city’s culinary treasures, including such renowned restaurants as Galatoire’s, Emeril’s, Arnaud’s, Commander’s Palace, Emeril’s Delmonico, Bayona, Herbsaint, Restaurant August, G.W. Fin’s, Bacco, Peristyle, Palace Cafe, Lilette, Brigsten’s, K-Paul’s, Cuvee, NOLA, Bourbon House, Broussard’s, Mr. B’s Bistro and Antoine’s. n addition, many of the city’s favorite neighborhood hotspots such as Mother’s, Casamento’s, Ralph’s on the Park, Clancy’s, Jacques-Imo’s, Upperline, Acme Oyster House, Gumbo Shop, Cafe du Monde, Muriel’s, Tujague’s, Tommy’s and Pascal’s Manale are also favorites of our visitors. Here, you’ll find famed classic French, Italian and Spanish restaurants that remain unceasingly faithful to their roots. You’ll also find some of the industry’s brightest and most innovative rising stars, serving their own unique versions of what is collectively known as New Orleans Fusion. 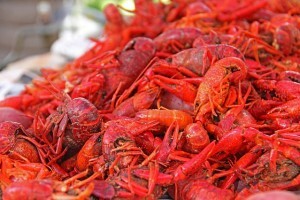 And of course, you’ll be tempted at every turn by New Orleans’ signature Cajun and Creole dishes. While exploring New Orleans’ culinary wonders, don’t forget the surprising selection of other exotic cuisines, including exceptional Latin, Mediterranean and Asian variations that make their own delicious contributions to this gourmet’s paradise. Wherever you choose to eat in New Orleans, prepare your palate to fall in love; there’s never been a better time to dine in New Orleans, and your table awaits. New Orleans has a subtropical climate with pleasant year-round temperatures. Temperatures range from the mid 40’s in winter to more than 90’s in the summer. Rainfall is common in New Orleans, with a monthly average of about five inches of precipitation.